Have you ever wondered why Costco has had the same price for hot dogs, $1.50, for more than 30 years? It’s not because they’re making buku bucks off of them. It’s because it builds customer loyalty! It keeps Costco members coming back for lunch, groceries and just about everything else. Similarly, rewards programs will increase resident loyalty and keep them renewing leases at your community! Rewards programs could vary greatly from property to property. For some rewards, you could offer cash. For others, offer credit toward rent payment or other fees. Other rewards might appear in the form of discounts to businesses or upgrades to their units. Some properties use a point system that can be redeemed for various rewards. However you choose to do it, the following ideas will help you to execute your reward strategies. 1. Reward residents for bragging about you. This reward strategy is one of the most beneficial for both you and your renters. Basically, you reward residents for marketing your community. Offer rewards for renter referrals, providing testimonials in text or video, reviewing you online, or tagging you in a social media post (to a certain extent). It is most common to offer rent credit or cash for referrals, while reviews or social media posts might lend themselves toward the point system. 2. Reward residents for good behavior. Does a renter consistently pay rent and other charges on time? Perhaps you’ll reward them with a one time redeemable reward to waive a late fee or other charge at their desire. Some communities give rewards to renters who volunteer in the local area or who help out with one of their community events. 3. Reward residents with discounts at local businesses. Many local companies, such as gyms and restaurants, are willing to team up with your community to offer discounts to your renters. 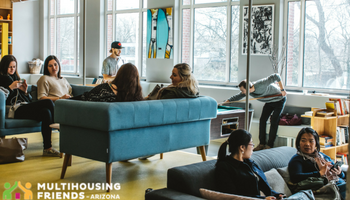 There are even companies which specialize in the multihousing industry who partner with your community to offer residents local and national discounts in addition to other reward programs. ResidentGifts and Purqz are two such businesses. Does your community offer a rewards program? Tell us how you do it!